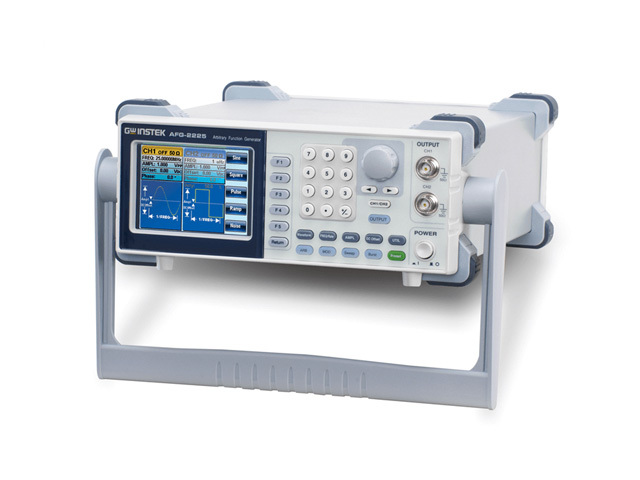 A signal generator or function generator is an electronic measuring instrument which is like a variable voltage source that is capable of producing different waveforms. Usually, at least sinusoids, block, and saw-tooth shapes are available, in which both the amplitude and the frequency can be set. Function generators are commonly used in electronics, for example, to test individual components or measuring impedance, but the instrument is also used to test the complete circuitry, including audio equipment, and communications equipment. Air-Parts offers products from GW Instek.